SLS limousines – Limousine hire in West Yorkshire and South Yorkshire. SLS is a family run business established in 1998. We provide a personal and professional service. Whether this be for your Prom Limo, Kids Party, Wedding, School Leavers, Race Trips, Business Events, Honeymoon, Airports or for any Special Occasions, SLS Limousines will ensure all of your requirements are fulfilled. You can view our Limousines and Wedding Cars on Our Fleet page. Please feel free to come and see us, to view the cars by calling 01484 603323 or 07765 498148. To hire a limo in the West Yorkshire and South Yorkshire area – Call SLS Limousines. SLS Limousines chauffeur-driven limo hire service is one of the best in the Yorkshire area – with only high-quality vehicles available. So whether you live in Huddersfield, Wakefield, Barnsley, Halifax, Leeds, Bradford, Sheffield, Rotherham or anywhere in the Yorkshire area – call us now and speak to us about a limo hire for you. Need Wedding Car Hire? Go to our Fleet Page to view our Vintage Wedding Cars and Moderns Wedding Cars. SLS Limousine are fully licensed and insured, and members of the National Limousine and Chauffeur Association. 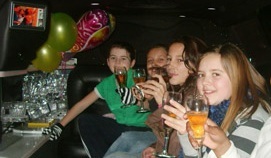 School Prom Cars in Yorkshire – Make sure you ‘Arrive in style’ to your Prom Night in a Limo! Treated like the starts, with your personal uniformed chauffeur, we’ll take you from Door-to-Door to your Prom in a Limousine. Arrive like the stars to the Oscars in a gleaming White Super-Stretch American Limousine. 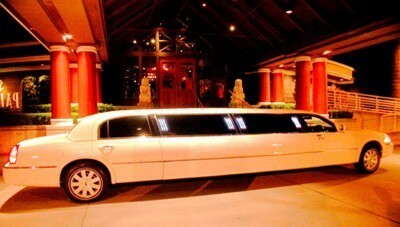 Packages include: One way trips, Multi pick-ups, Returns -all with time for photos with your Prom Limo. *Prices subject to location, time and day.